During the summer months, easy recipes are the key. I want to be able to spend as much time as possible with my family and friends, enjoying the beautiful summer weather. 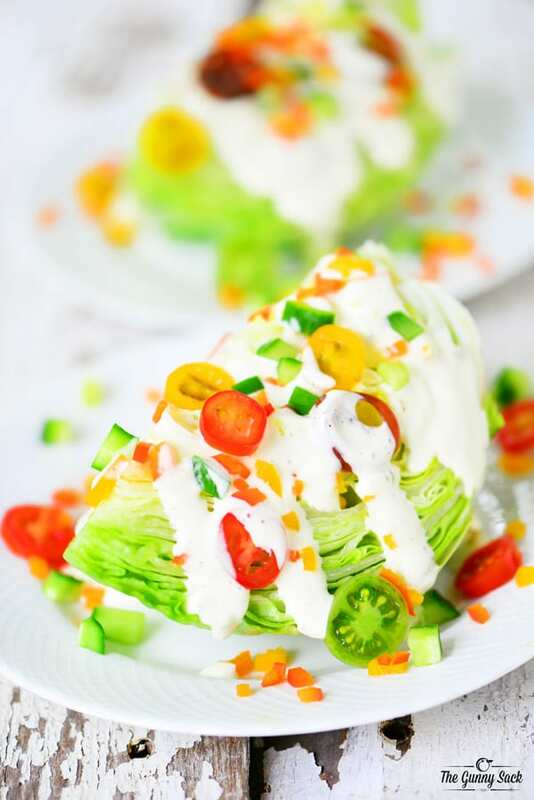 When we prepare a dinner on the grill, a salad, like this Summer Wedge Salad, is a great side dish to have with it. 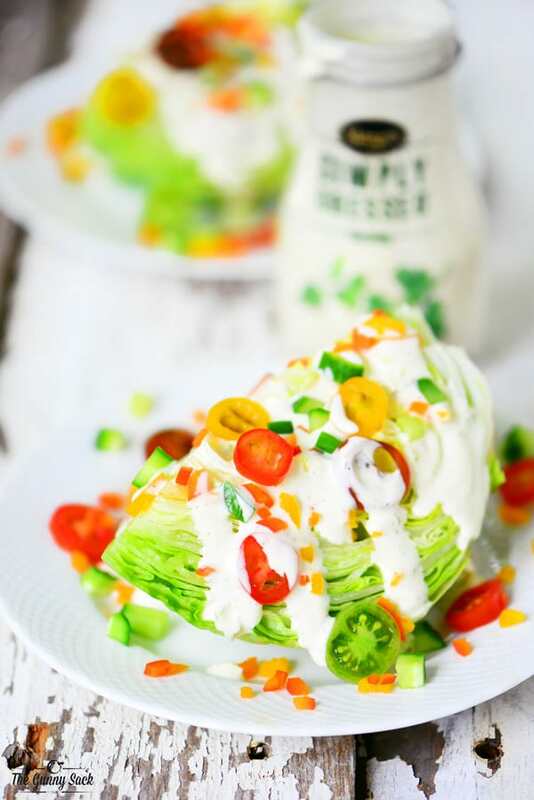 Plus, this wedge salad is a delicious way to showcase fresh summer vegetables and it’s so easy to put together. You can use whatever vegetables you have available either from your garden, if you have one, or from your local grocery store or farmer’s market. For an easy, delicious salad dressing, I used Marzetti® Simply Dressed® Ranch Salad Dressing. Marzetti® Simply Dressed® Salad Dressings are made with simple ingredients you know and love, good enough to enjoy every day. 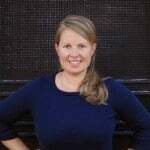 There are no preservatives or artificial flavors added. Instead, few simple ingredients enhance the fresh, natural goodness of salad. To make the salad colorful, I chose a variety of tomatoes and peppers in shades of red, orange, yellow and green. Plus, a bright green cucumber. 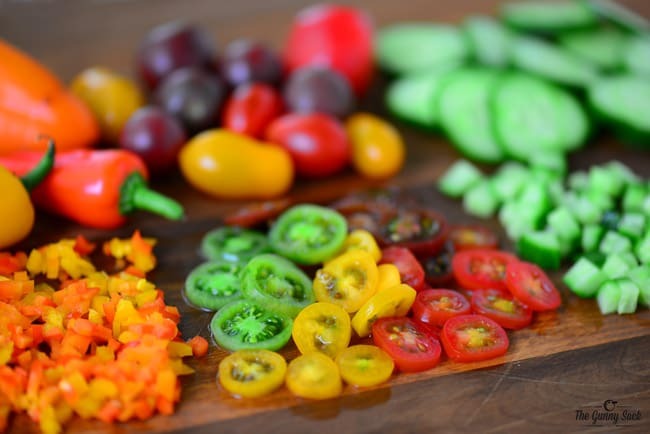 Cut the multi-colored mini tomatoes into thin slices. Dice the colorful sweet peppers and chop a cucumber. 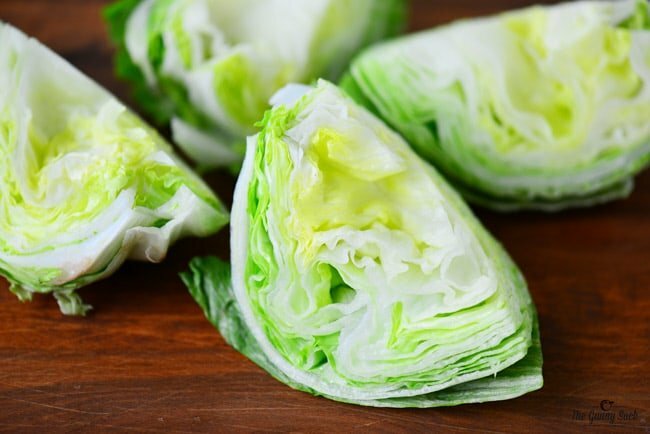 Cut a head of trimmed iceberg lettuce into 4-6 wedges. Rinse and drain the lettuce wedges and place on plates. Sprinkle each wedge with sliced tomatoes, chopped peppers and diced cucumbers. Then, drizzle with Marzetti® Simply Dressed® Ranch Salad Dressing. 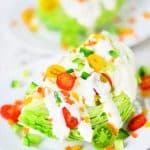 This colorful Summer Wedge Salad is the perfect side dish to serve with grilled chicken, steak or fish. It would also be wonderful for a summer lunch. Cut multicolored mini tomatoes into thin slices. Chop colorful sweet peppers and diced a cucumber. Sprinkle each wedge with sliced tomatoes, chopped peppers and diced cucumbers. Drizzle with salad dressing and serve immediately. 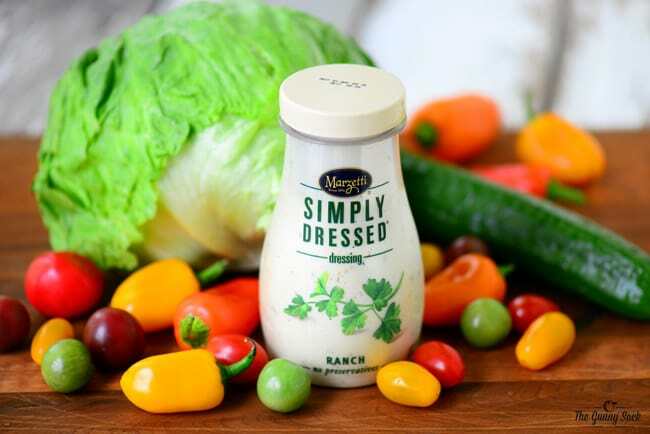 Look for Marzetti® Simply Dressed® Salad Dressings near the classic dressings in the refrigerated produce section. Find more delicious Marzetti® recipes HERE.